Love Mason Jars? How about using those jars for something besides storage and start making simple or elegant meals with them. When I was younger, Mason Jars were only used to can whatever came out the garden. My mom taught me how to preserve a few things and so, the tradition was passed on. And then……I realized you could use those marvelous jars for other things. Storage being the biggest way to use them. So why not make meals in the jars? Its been going on for so long now and such an easy way to serve to a party too. Great for breakfast, lunch or dinner. But for me, serving small Mason Jar desserts sounds so special when you are having a small casual dinner party. Here are a few recipes I found to share for all kinds of tastes. What meal would you fix in Mason Jars? 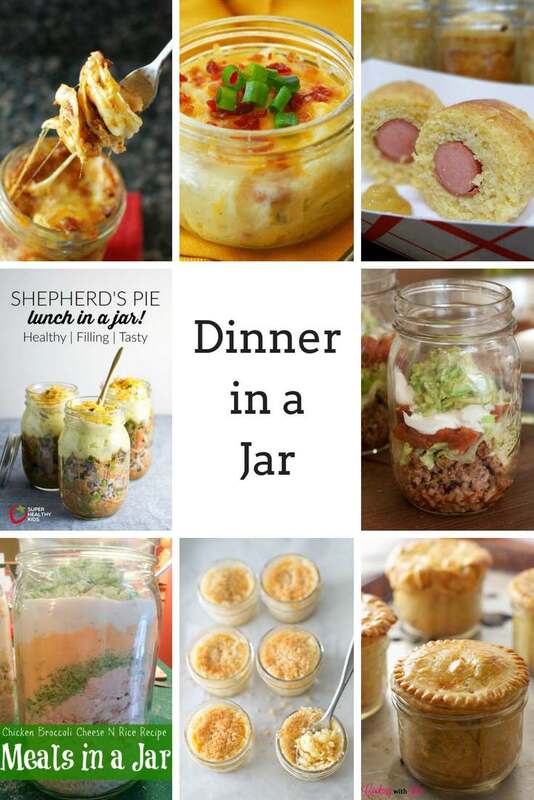 Thank you for including my Monkey Bread in a Mason Jar recipe with these other yummy meals! I am such a huge fan of Monkey Bread and was so glad I came across that recipe. Plan on using it during the holidays. I’ve heard about these! I haven’t tried them out yet. 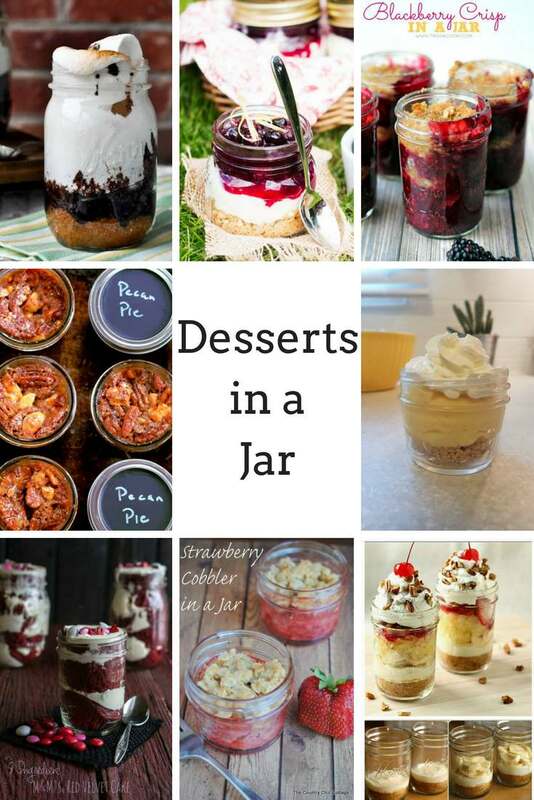 I’d probably like the desserts in a mason jar. Mason Jar is rock on. I have a few for my lunch, dessert and juice. So many combinations of every type of food for different occasions. 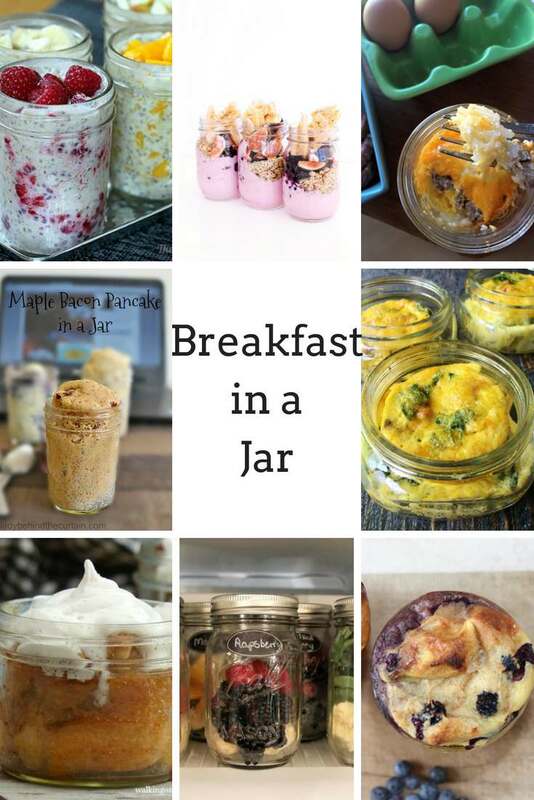 I love breakfast in jars and salads, they are so handy when it comes to storage and portable too. Everything tastes better in a mason jar. I would make the yogurt parfait. I have always wanted to try overnight oats in a mason jar. There are so many different combinations out there and they ALL sound so good! I am getting hungry just thinking about it, actually haha. I am awful at planning meals but if I was still working outside the home I think this would have been a great way to pack up lunches. They all sound so good too. The salads are great make ahead ideas. Love the packaging. Salads are my fav way to use Mason Jars. I love making oats in the mason jars. So easy and ready in the morning when you don’t want to cook. These are great! I have gone to events before where they have served salads in a mason jar but I’ve never had a meal in a jar. I’ve served desserts in small mason jars and the presentation is a lot of fun. 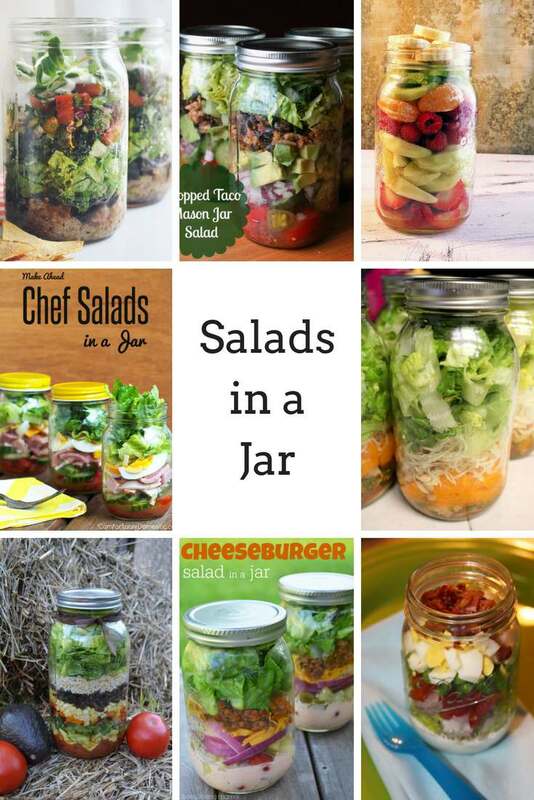 I’ll have to try my hand at some mason jar salads. I have a ton of mason jars around from when I attempted to do some canning so I might as well use them. I have always wanted to try this, these desserts look so delicious and you can take them on the go!! Thanks so much Eveylyn. I love using Mason Jars with so many things. Great for storage too. You just inspired me to try making a meal in a jar! I think I will try overnight oatmeal first. 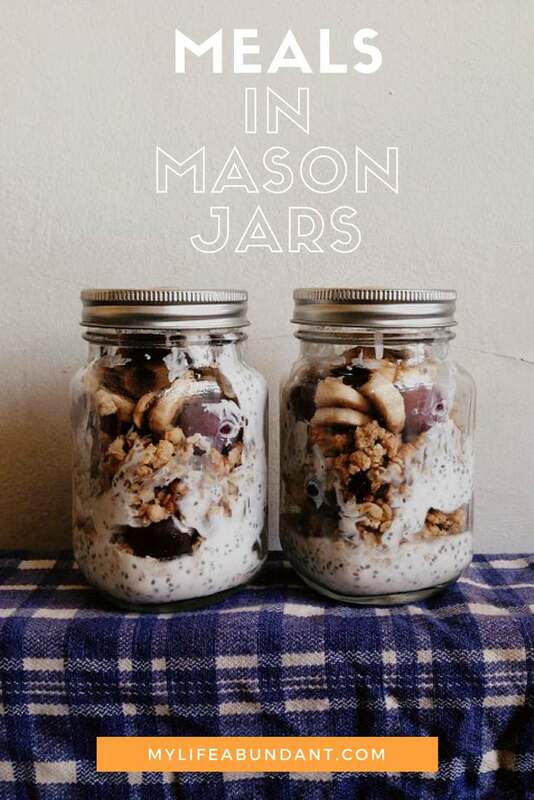 I love mason jars for creating great snacks or meals on the go. I usually pick a few glass and plastic ones and make salads and dressings. Okay, I’m officially hungry now. These all look incredible but that S’Mores cake in a jar is really pulling me in. I’ll have to try them Monday for our cookout. These meals looks so yummy. I would love to try one. Thanks for sharing.